Oh I finally got you, sweet delish ice cream you! 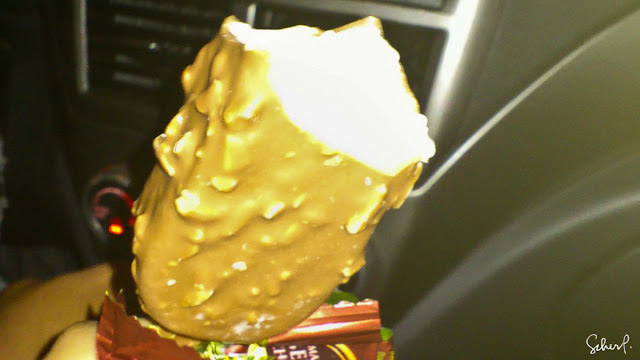 Magnum Ice Cream is like an elite version of a local ice cream called Pinipig and the price is kinda steep for it's size...but you'll forget how expensive it was after one bite! LOL. 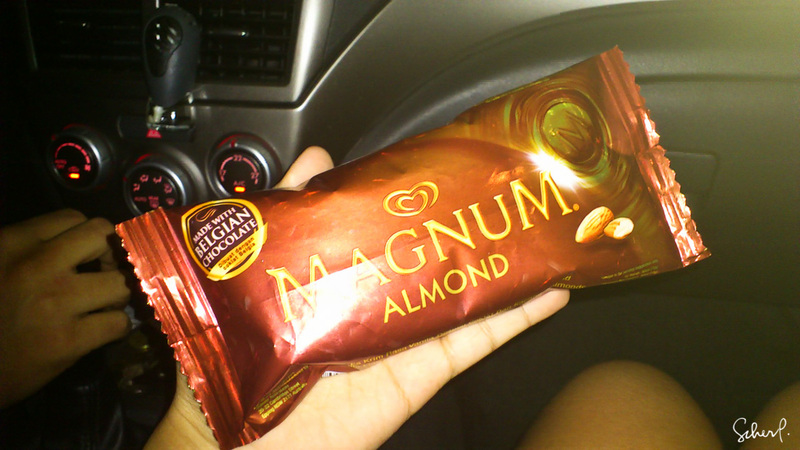 (that's me being frugal) I choose this variant coz it has almonds. I don't like the plain or the one with chocolate truffles.